As Park City continues to grow in population and price, we naturally see a trend bubbling toward nearby towns. Within Summit County, that means the Kamas Valley. But Kamas is more than just one stoplight and the best indoor pool around. In Park City, you’re in the mountains. In Kamas, you’re in the valley looking up at the mountains. Views of the Wasatch, Mount Timpanogos, Box Elder and Hoyt’s Peak make for stunning scenery by day and photo-worthy sunsets by night. 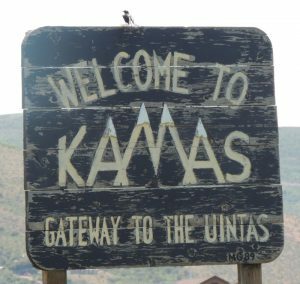 The difference in perspective goes beyond the views, as Kamas seems to have the collective desire to remain a small town. At a recent Kamas Valley Business Association Meeting, the slogan on the whiteboard was “We are not Park City”. If you’re considering a move out this way, don’t expect change to happen as quickly as it has in Park City. 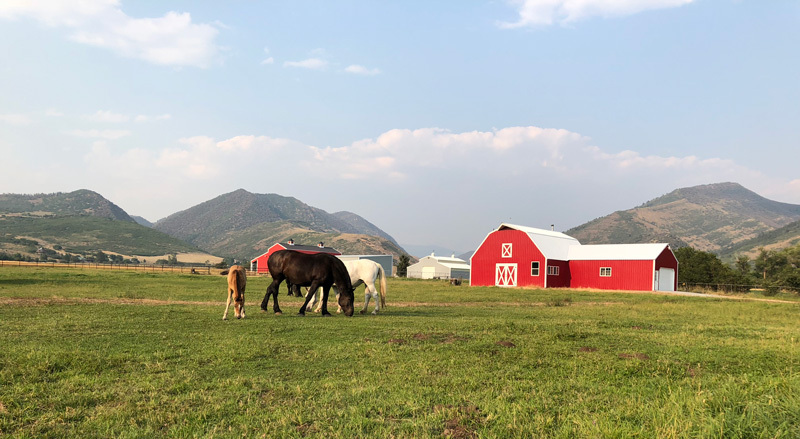 That’s not a bad thing, because from ranching to horses and outdoor recreation, Kamas has a personality all its own. The Kamas Valley actually consists of a series of smaller towns: Peoa, Oakley, Marion, Samak, Kamas, Francis and Woodland. Each of these has its own traits that make it unique. Most of these are a 25-30 minute drive to Park City, 20 minutes to Heber City and 45-50 minutes to the Salt Lake International Airport. While many residents work in Kamas or Park City, the Salt Lake commute is also common. There is weekday bus service to and from Park City. Traffic is never an issue, although you may notice an uptick in the warm months. Kamas is considered the “Gateway to the Uintas”, and it truly is. One can head up Weber Canyon from Oakley, up Mirror Lake Highway from Kamas/Samak, and up Wolf Creek Pass from Francis/Woodland. 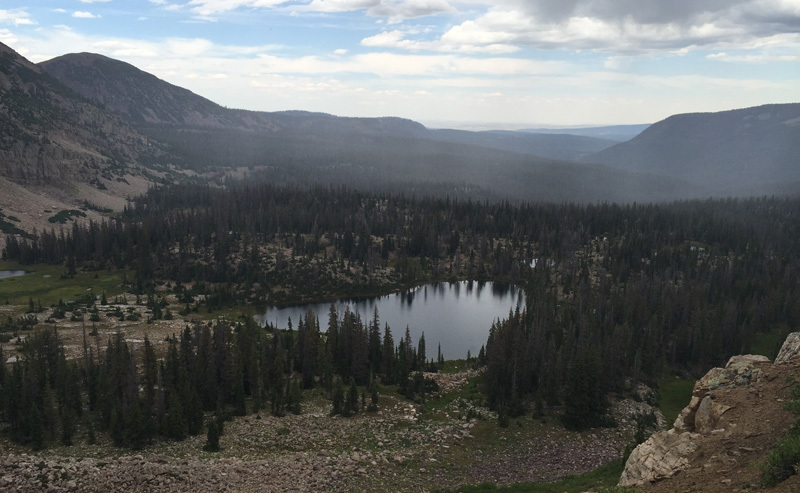 The Uintas are the highest mountain range in the U.S. that runs east to west. The forest contains some 500 lakes as well as the highest peak in Utah, King’s Peak (13,528 ft.). Recreation enthusiasts enjoy hiking, horseback riding, paddling, fishing, hunting, off roading, cross-country skiing, snowshoeing and snowmobiling in these mountains. Down in the valley, recreational opportunities abound. Hiking and mountain biking trails can be found in Oakley, at High Star Ranch, and at the Jordanelle Rock Cliff entrance. The South Summit Trails Foundation is the valley’s equivalent of Park City’s Mountain Trails Foundation. The valley is home to some of the best road biking routes around. There are several parks dotting the valley, with Peoa, Oakley, Kamas and Francis also boasting rodeo grounds. The Kamas Valley Gun Club is great for gun enthusiasts. And for indoor recreation and fun, try the South Summit Aquatic and Fitness Center. The pool here is popular in winter months and for birthday parties. Some of the best breakfast restaurants in the county can be found here: The Road Island Diner in Oakley, the Mirror Lake Diner in Kamas, and the Woodland Biscuit Company in Woodland. Dinner options include the Gateway Grille, Summit Inn Pizza and El Jalisence Mexican Restaurant. State Road Tavern and Restaurant at High Star Ranch serves dinner as well as brunch seasonally. For night life, try the SRT or head up to The Notch in Samak. 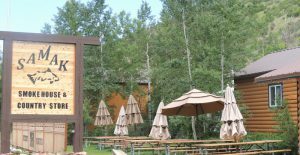 Other fun foods that call Kamas home include the famous Samak Smokehouse (try the jerky) and Volker’s Bread. A few must-stops for shopping include Jan’s Outlet, New West Country Store, and Artique. With a small population, some businesses are only open seasonally or on weekends, when outsiders like to take their scenic drives or trips to the Uintas, so be sure to check hours. The website Niche.com gives South Summit School District an overall grade of “B”, and says the focus is on athletics. The average student-teacher ratio is 21 to 1. South Summit High School is ranked 21st in the state. Students have the opportunity to take AP course work and exams. A new opportunity in the SSSD this year is Silver Summit Academy. This K-12 “blended learning” school is a public school that focuses on STEM and giving students control of their education. Not unlike Park City, in 2017, voters rejected a $58.6 million school bond by 228 votes. The bond was said to be needed to accommodate growth, and an alternate solution has yet to be reached. The Kamas valley is home to people who want a “smaller town” atmosphere, more space, or a more affordable alternative than Park City. With this higher demand, prices have increased in recent years. The lowest priced single family home (in a year round area) as this blog goes to publication is $369,000. The market is quite active in the Kamas Valley, with 75 active listings, 25 pending sales and 66 closed properties in the past 6 months. The inventory right now in general is neither a buyers’ nor a sellers’ market. However, the market is extremely active in the lower price points and heavier over $1 million. Closed sale prices ranged from $175,000 to $2.7M million. High Star Ranch offers brand new developer homes priced under $1 million. Click here to see their cute lifestyle video. If you are looking for a true gentleman’s ranch, the “Riverbend Ranch” a 17,000 sq. ft. home on nearly 2,000 acres can by yours for the list price of $30,000,000.